Given the importance of email for today’s businesses, many companies have jumped on the email archiving bandwagon due to regulatory compliance, potential eDiscovery requests and for simple productivity purposes. With so much of your business’s vital information contained in your company emails, you need to make sure they are safely stored and easily available for future reference. 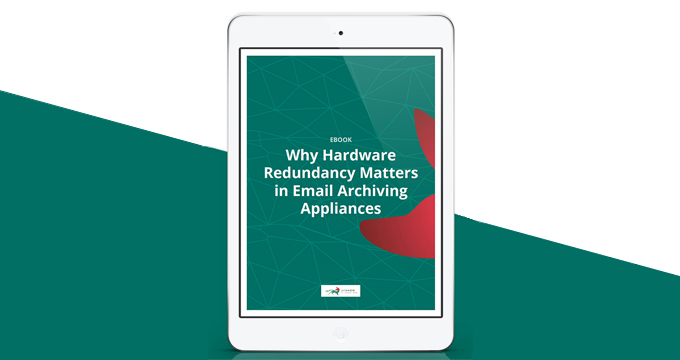 For this, you need a reliable archiving appliance, and for your archiving appliance to be completely reliable, it needs to be hardware redundant. Redundancy refers to the practice of duplicating critical hardware components with the intention of providing backup in case of component failure.